I feel like I am at a turning point in my life. My last child will be graduating high school in a matter of Months. That equals 5 kids grown. We love them all dearly but we are also looking forward to watching all of them grow into adulthood. For so many years we have had to have a large home so that everyone will have rooms. Now it will mean we only need one room. Soon we can actually get a loft or something trendy! The dream of us buying a catmaran yacht is getting closer. Wow how time flies! Don't worry, I will be adjusting my cooking quantities, but I will still be cooking. Cooking is like breathing to me. It must be done! Tonight my husband had to work late. Husband gone = no meat! 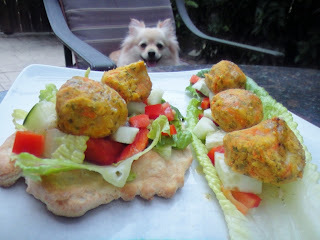 Time for Falafel! I opted for baking the falafel tonight because we are all trying to reduce our calories. This recipe was so good. I am going to bake it from now on. I wish I had doubled the recipe because there were no leftovers. Preheat the oven to 375 degrees. Cover the top of a baking sheet with parchment paper. 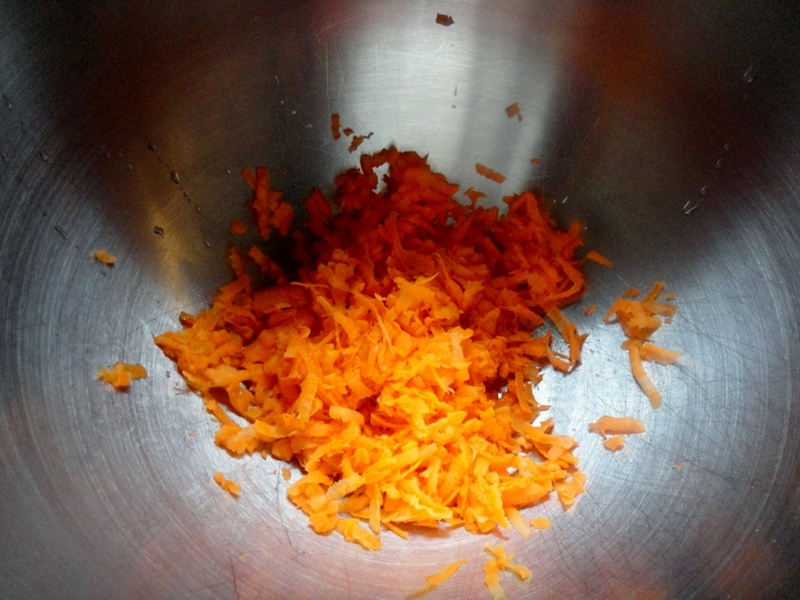 Shred the carrots. I did this in my food processor and then transfered to a bowl. process until all the ingredients come together, but mixture is not completely smooth. Add the chickpea mixture to the carrots and stir to combine. 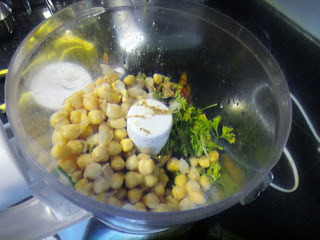 Mix in the chickpea flour until it is incorporated into mixture. 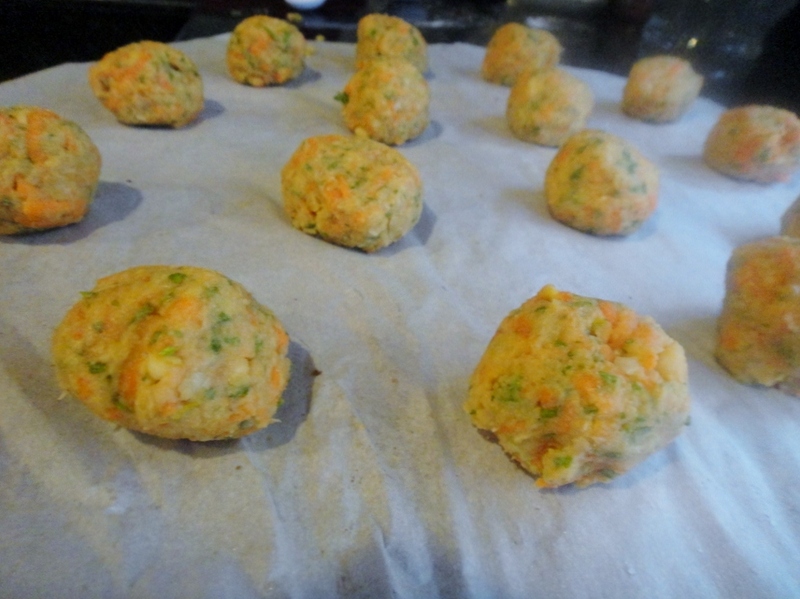 Roll the mixture, a few tablespoons at a time, into 16 balls and line up on the baking sheet. Bake in the oven for about 7 minutes and then rotate the falafel so it browns on each side. Bake for another 7 minutes. 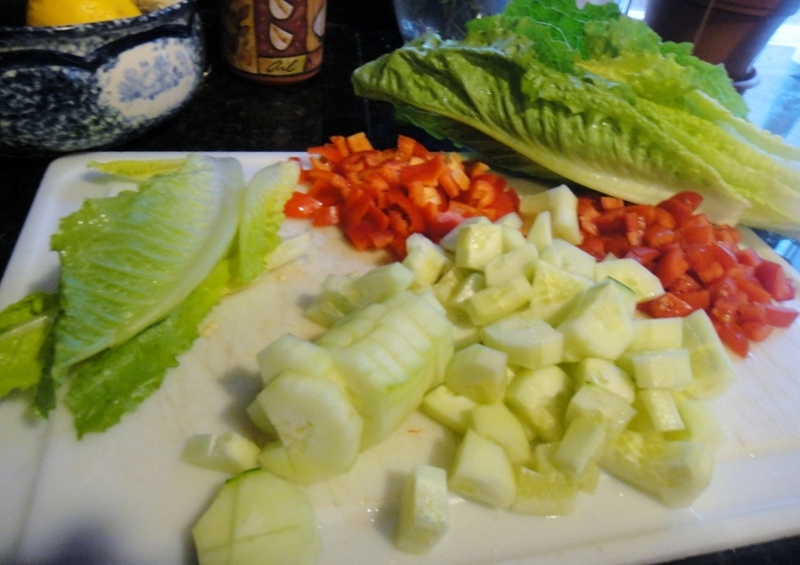 I spent the baking time chopping fresh veggies. 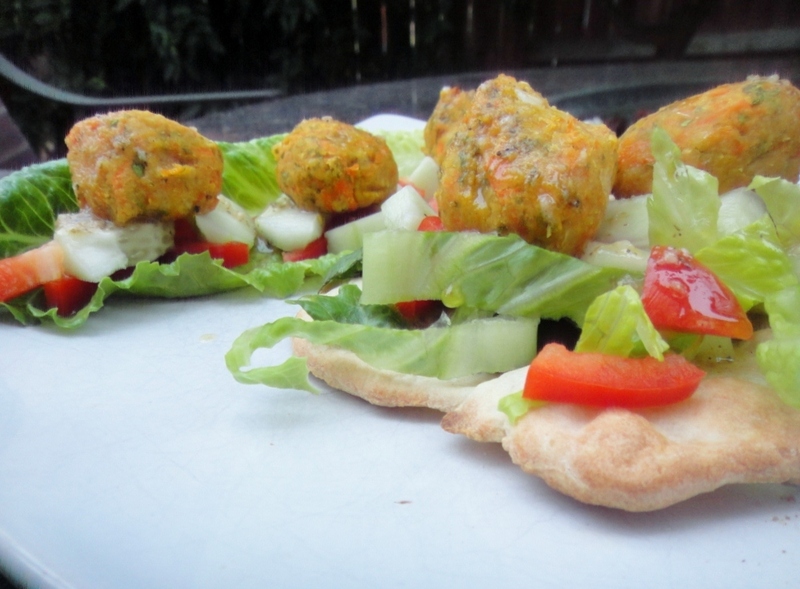 A lot of the time falafel is served with a creamy dressing. I opted to use my healthy italian salad dressing that I made from scratch. It was scrumptious! 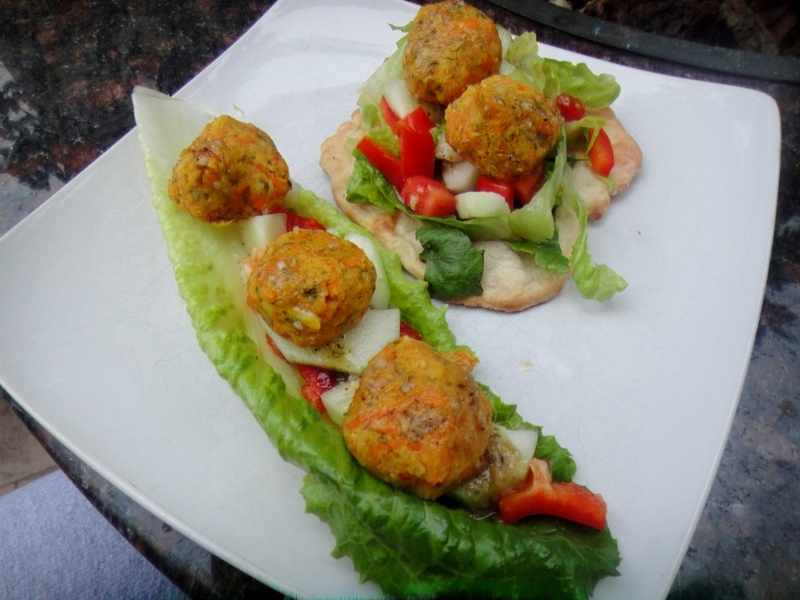 Serve the falafel in a couple of lettuce leaves or with homemade gluten free pita bread, topped with some chopped tomato and some red peppers and cucumbers. 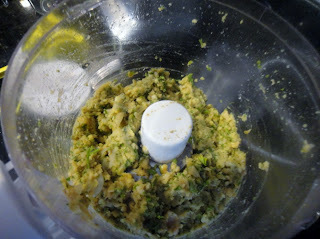 Drizzle the dressing on top and serve. Taylor snagged my camera and got her token "Tots" picture. You will see Tots from time to time in the background hoping for table scraps. Tots is Taylor's Pomeranian.